How do you choose what to take part in? I hear ya! I'm doing both of these challenges too plus I've been given a sewing dare. 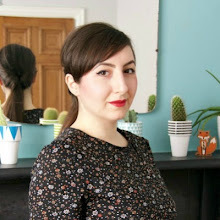 Then I just saw there is an elisalex dress sew along starting in 3 weeks that I really want to do but I think I might have to work through the posts on my own later. I don't know if I can handle that many projects at once. I am wanting to do all of these too!!! Ladies, my heart sank when I saw the Elisalex dress sewalong...I'd love to take part, but there's no way I can fit it in :o( Great thing about sewalongs of course is that you can indeed revisit at your own pace! I'm a pretty slow stitcher too Rebecca...I think that's part of my problem with keeping up! Oh my gosh, I don't know how I'll find time to do the Sew for Victory sewalong, but I've GOT TO DO IT! I'm also planning to do the elisalex sewalong...time to get efficient. I can't wait to see which dresses you pick. I'm joining in on the Mad Men Dress Challenge - I just couldn't resist! Oooh, looking forward to seeing what you make! It's so hard! I'm having to pretty much stay out of everything right now due to lack of time, though I did do a giveaway for Sew Grateful week. For my part, I've tried to stick with sewalongs that will produce things that are actually useful in my wardrobe--I'm not much of a vintage sewing person, so staying out of the two you mentioned is easy for me. What's been harder is having to sit out of the more specific pattern sewalongs, like the Tiramisu pattern one that happened at 3 Hours Past recently. I am currently signed up for the Stashbusting Sewalong at Cation Designs, but can't actually do any of the challenges until life settles down. That's a sensible way to pick what you do! I am planning on doing the same challenges as you, so cross fingers I can make the time to get them done! I have no idea why I get stressed about challenges since they are voluntary!!! I know! I get all worked up and put myself under so much pressure! I totally agree! Everyone loves to join in- i guess that's part of what we all love about blogging- but I also find that sewalongs & the like can be very distracting and I tend to lose my focus. 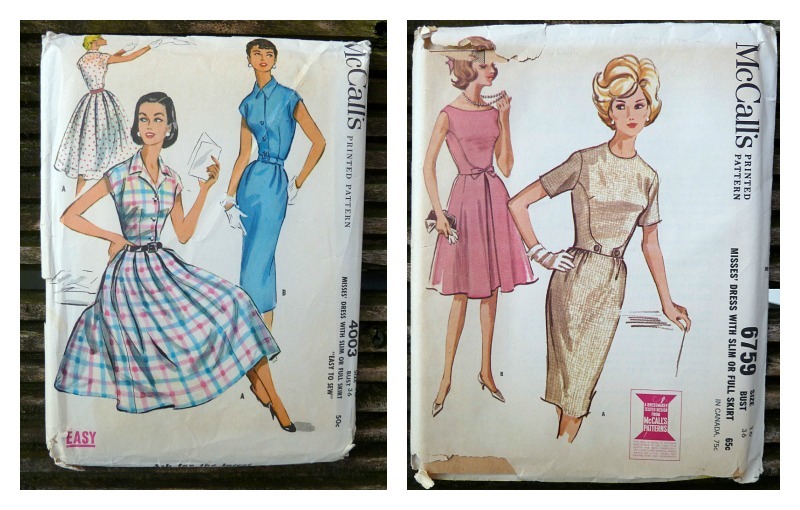 As for your Mad Men pattern inspiration, I'm loving McCall's 6759. The bodice details are unlike anything I've seen before and I particularly like the pink version with the boat neck and the skirt with the inverted pleat! I totally agree with what you're saying, so true! The way you've talked about deadlines makes these two all the more appealing!! Or maybe one if them. I didn't do madmen last year, but sooooo tempting. As you can see I haven't committed yet. Thanks Winnie! 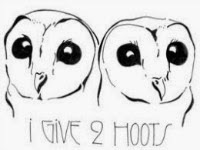 Declaring that I'm doing both is already making me panic a little...but I can only try my best I guess! Oh, I agree, I want to join everything! I try to stick to those where I'll want to wear what I make - so if the pattern or whatever isn't my style I happily watch from the sidelines. Bought my Mad Men dress fabric yesterday! That's a wise way of choosing! 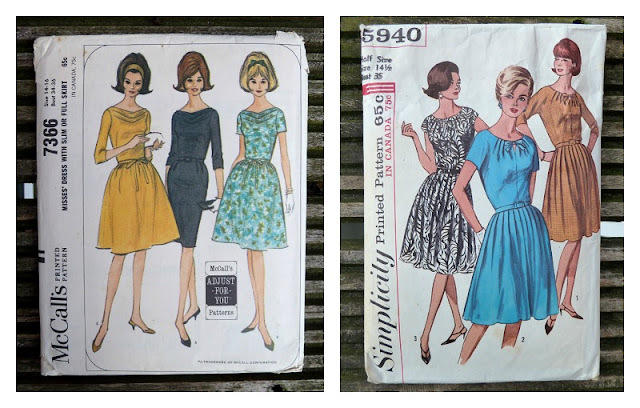 I have limited sewing time and a huge project list so I don't have time to join in with sewalongs or things like the Mad Men challenge; I use them as inspiration for my own projects. Less time consuming things I'm all for, especially blogger meetups. If only I had more time! Oh agreed! They all look so tempting! So many sew-a-longs, so little time!!! It's difficult isn't it! There is so much going on at the moment and so many great ideas around! 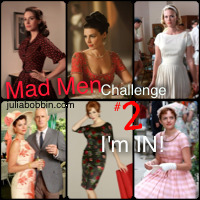 I'm considering Julia Bobbin's Mad Men challenge as well as Tempest Devyne's David Bowie sewalong. Please, please please can you do Trudy this time?! I think you bear more than a passing resemblance! It can be so frustrating watching all the fun from the sidelines! I usually calm myself with the knowledge that there's a good reason why I'm not in the sewalong/challenge, be it lack of time or the pattern can't be bought without great expense in Sweden (or the pattern just isn't something I would wear). i'm really trying not to get sucked in too much as i have such a lot of (non-sewing) stuff on at the moment! i bought a copy of NL 6000 with the plan of doing winnie's polkadot frock one, but i know i'm going to struggle. i normally end up not getting pics done until after the deadline as that's all part of the fun, isn't it? i am definitely in for the mad men one and have a pinterest inspiration board, altho no decisions as yet. i had just started sewing for myself last year when it was happening and i really wanted to be in it! 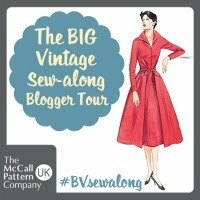 i've skipped sew for victory due to lack of time/ patterns and i am toying with doing rachel's nautical challenge. Well, good luck with the Mad Men one my dear! I agree, it's really hard to curb my enthusiasm when a sew along is announced. 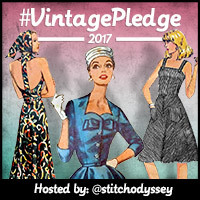 I'm participating in both the Sew for Victory and the Mad Men Challenge. Last year, I sewed a dress directly inspired by a Betty look, but I think this year, I'm going to take a more generalized approach. 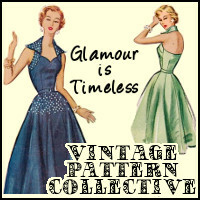 Ultimately, I want to make a dress I know I will wear and not just a dress that fits the challenge. I'm doing my best to use the same strategy with Sew for Victory. Practicality is my plan for the year. So, when I can make a challenge work within my own parameters, I'm all about it. I'm really in love with both Simplicity 4986, THOSE SLEEVES!, and McCall 4193. I'm eager to see which you choose. Thanks Michelle and good luck with your challenges too! 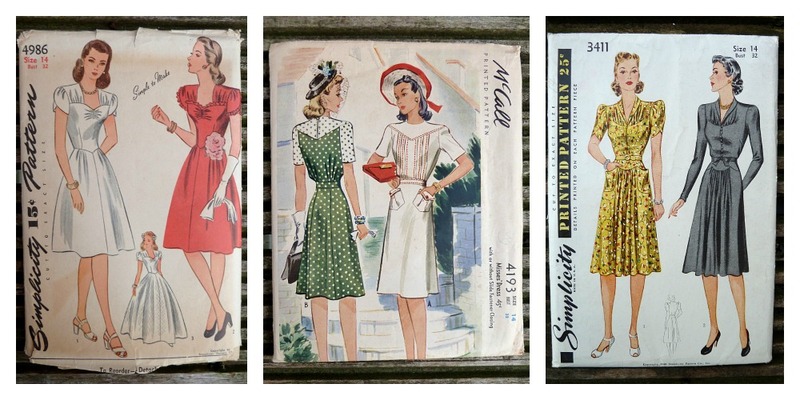 I've decided to do two - the Mad Men one (love your style files - thank you) and the 40's, mainly because I can use fabric and patterns from my stash. I would love to do the Elisalex one- I've been lusting after the pattern but have banned myself from buying any new ones this year until I've used some of the ones in my stash. Have been heavily dropping hints for Mother's Day though. And I almost crumbled and bought NL6000 when I saw all New Look patterns on sale for £2.95 in my local sewing shop, but it had sold out already. Good to know I'm not the only one who wants to do it all! so i kind of let all my blogs pile up in my reader for a couple weeks at a time then take a few hours to read everything. it's easier for me than trying to keep up with it daily. the problem is i sometimes miss out on participatory activities 'cause by the time i read about them it's too late. oops. i did the eva dress contest last year, mostly because it was convenient. i was already going to sew one of their patterns. There are just so many fun sewalongs, aren't there? I really want to do the Mad Men challenge, although I don't think I'll get around to it. But I so enjoyed all the dresses last year and can't wait to see them this time around! I often sign up for things, run out of time, and then don't finish them. :( I'm trying to take it easy this year and only sign up for things that I really want to do (like WTL)!